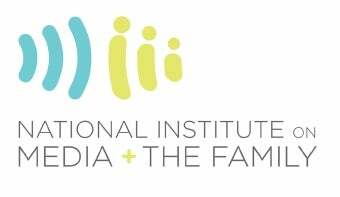 The National Institute on the Media and the Family - whose annual report cards were more fair and reasonable than such an Orwellian name might imply - will close at the end of 2009 after 14 years of watchdoggery. The closure is apparently tied to the end of funding from a primary NIMF source, Fairview Health Services, which had committed $750,000 annually to the Institute. WCCO-TV of Minneapolis reported that Fairview Health Services knew back in the summer that, in light of the current economy, "We can't continue," supporting NIMF. NIMF was known for its annual Video Game Report Card, released around this time of year. The 2008 report gave an A grade to the ESRB, for its new game rating summaries; a B+ to retailers, for following rating and sales policies, and an "incomplete" to parents for not availing themselves of parental controls or closely following what their kids play. While NIMF occasionally blasted the odd violent video game here or there, at least it wasn't part of the tinhorn orchestra that obligated the ESRB and retailers to do all the parenting by themselves. Game Politics notes that the Entertainment Software Association gave NIMF a $50,000 grant last year. In a statement, NIMF said it hopes to continue its programs and research through other non-profit organizations.